Completed quickly in only 10-16 months, so you can get out and earn a paycheck. Comprehensive and high-quality, so you can graduate with the skills employers want. At Wood Tobe-Coburn, our smaller class sizes make it easier for you to get to know your instructors and get personal attention. Your instructors have worked in the real-world, so they know what it takes to get a job and start a career. 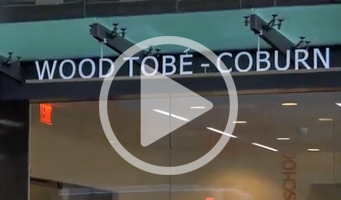 Watch how your career can get started on the fast track with an education at Wood Tobe-Coburn! Click here for the video!